and calculation cost of driveway & get a 10% discount! 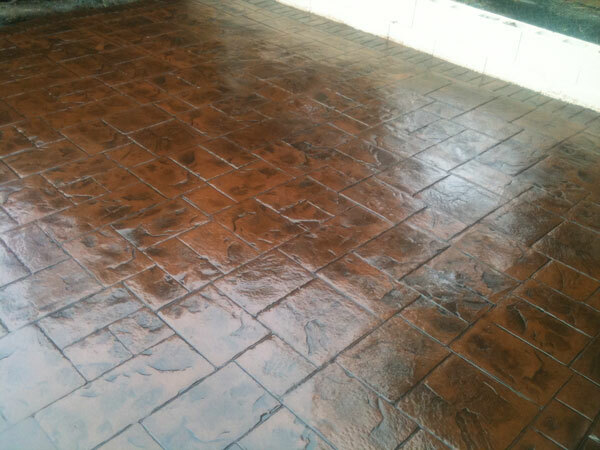 Custom Crete are experts in the setup of pattern imprinted concrete for usage on driveways, patio areas and paths. 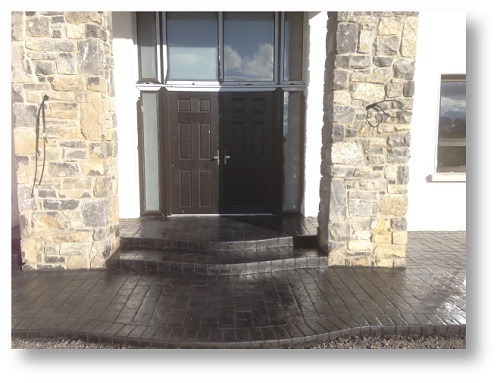 Our company has more than 10 years experience in fitting this item both in Ireland and abroad and boasting some substantial jobs, you truly will not discover a more knowledgeable installer. The name utilized to explain this kind of paving differs from area to area nevertheless all describe the procedure of a strong layer of concrete which is then imprinted with an ornamental pattern and after that coloured and sealed to offer the impression of cobbles, insane paving, block paving and even wood. 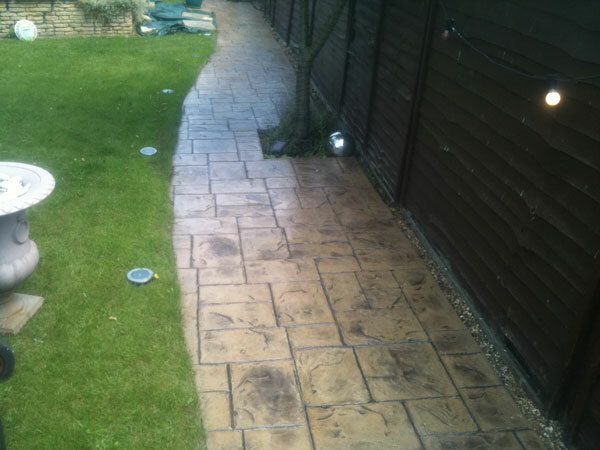 There are several advantages over other kinds of paving which assists this appearing choice to stand apart. 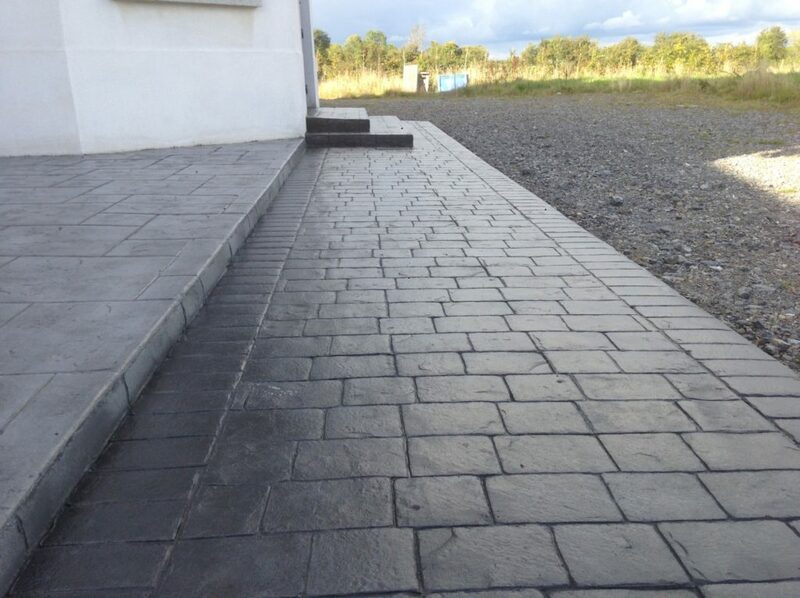 Pattern Imprinted Concrete Patios have actually ended up being incredibly popular in Ireland, specifically in the Dublin location where we have actually had numerous clients because our start. In addition, the need for our Pattern Imprinted Concrete Patios has actually been constantly growing throughout the remainder of the nation. Custom Crete will strive with the client to provide a setup that ticks every box. Sturdiness, design and usefulness are our leading concerns as we make every effort to provide the very best service in Ireland. There are numerous factors individuals pick to set up among our patio areas. The advantages of an imprinted concrete outdoor patio are limitless. Along with significantly enhancing the visual of a garden, Imprinted Concrete is long lasting and simple to keep. 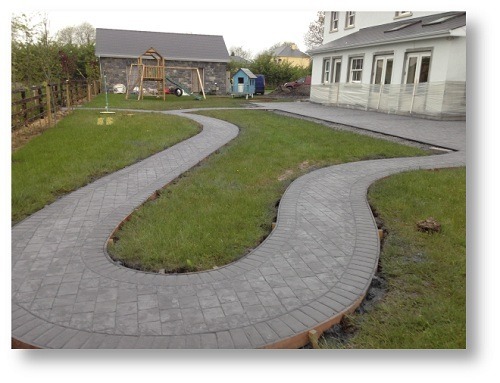 Pattern Imprinted concrete Paths are a charming addition to any residential or commercial property. They provide a house owner wonderful versatility to entirely revitalize a location of their yard or garden. 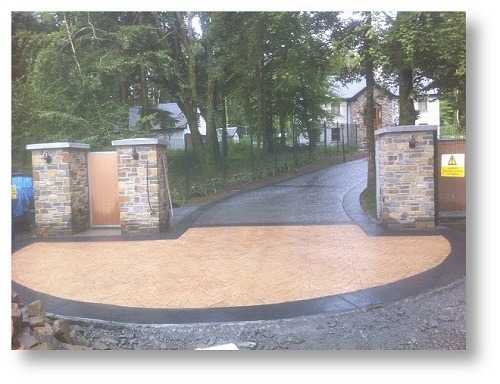 Pattern Imprinted Concrete has numerous advantages over standard products such as tarmacadam and slabs. Some of these advantages consist of life-length, beauty and risk-reduction. With this ingenious kind of emerging there’s no requirement to stress over journey risks ending up being a concern gradually. This was and still is a typical issue with paving work. Pattern Imprinted Concrete is quick ending up being the favored product for outside actions. 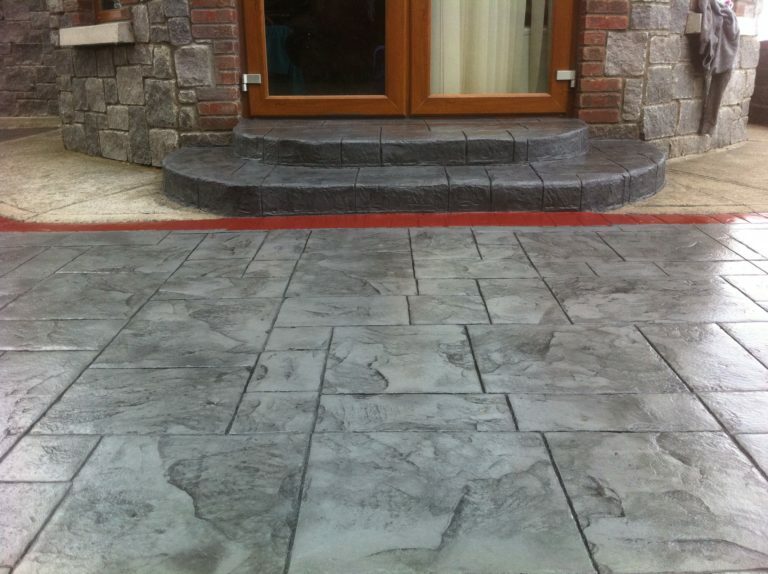 Pattern Imprinted Concrete Steps & & Kerbs are a fantastic alternative to standard brick actions. This is due to the fact that of a variety of factors, consisting of toughness, beauty and security. Pattern Imprinted Concrete provides an entirely sealed surface area. This gets rid of the capacity for weeds and overgrowth to take hold and trigger any disproportion to the surface area, for that reason lowering the upkeep work. If done properly, printed concrete needs just one of the most standard maintenance. It likewise considerably minimizes the security danger of the actions, unlike other popular products. The included security of printed concrete is among its finest advantages. Wallcrete is a light-weight plaster which can be used to most current surface areas. It can likewise be printed in any colour and pattern of your option, that makes it customisable. It is flexible and appropriates for exterior and interior walls too. 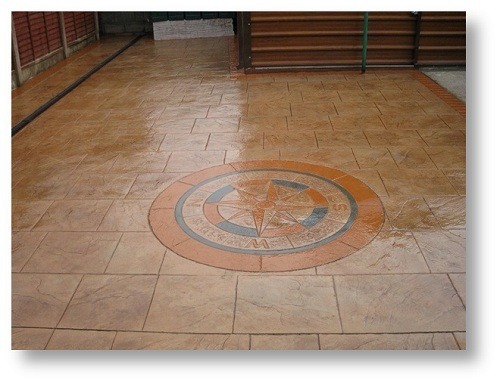 Custom Crete prides ourselves on the quality of our work. Durability, look and toughness are 3 of our primary top priorities with any setup. We’ll strive to make certain your setup depends on your requirements. An existing wall changed with Wallcrete makes a huge distinction to any house. The special, carefully picked style implies that the wall can be changed to match any existing home. We had our driveway done by Adam and his team. We can honestly say it was the best decision we made and we are glad that we chose to go with them. Adam was fantastic always helpful and available for any questions or queries. We are really happy with the drive and would def recommend them to everyone. We will def use their services again in the future. 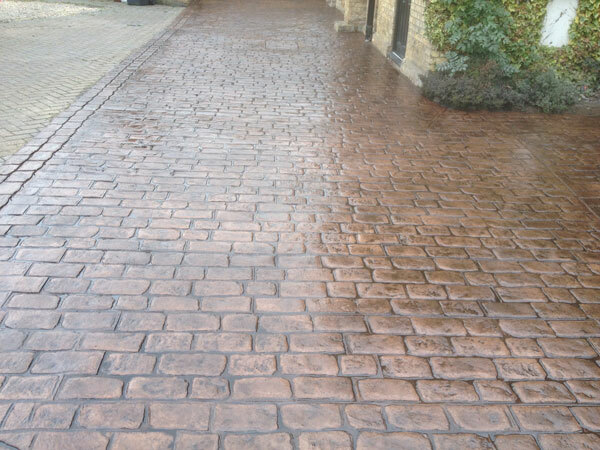 Custom Crete have recently done a fabulous job of my front drive, I am over the moon with the result – Adam and team are trustworthy, hardworking and very knowledgeable – very professional. Everything explained in detail, efficiently done and tidy. I definitely made the correct choice choosing this small company – customer satisfaction next to none, highly recommend and would defo use again. Thanks!!! 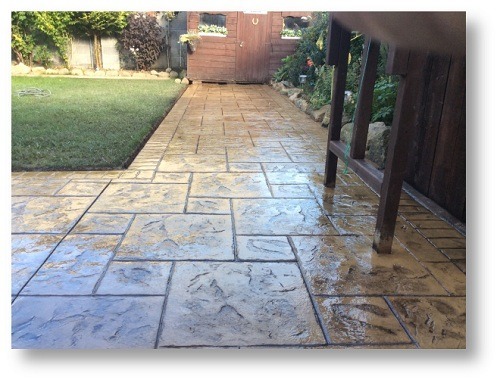 * NOTE: Check our other services: pattern imprinted concrete driveways, imprinted concrete patios, concrete pathways, imprinted concrete kerbs & steps, wallcrete and benefit from our discounts. Or just simply contact us for a free quote. Please also have a look at our amazing testimonials and the gallery. Also check the colours, patterns, features and FAQ section. 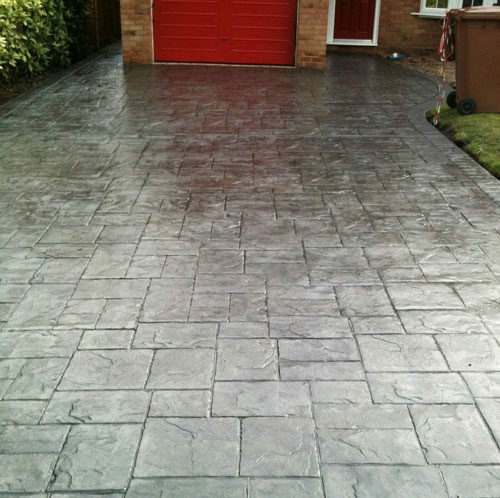 Pattern Imprinted Concrete is fast becoming a popular alternative to traditional tarmacadam & block paving driveways because it is much easier to maintain. It is also eye-catching as well as aesthetically pleasing. Wallcrete is an innovative alternative to standard brick and block walls. 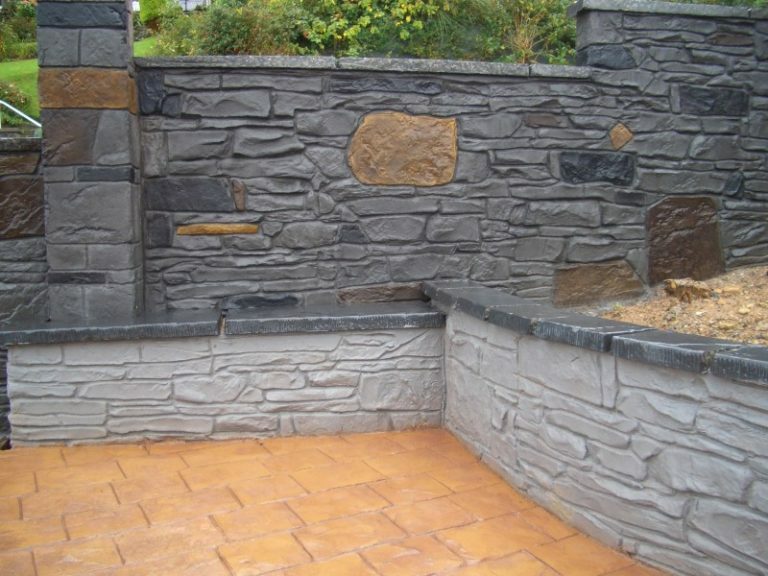 Wallcrete is easier to keep clean and maintain, as well as being completely customisable. You choose the Pattern and Colour that suits your property best. 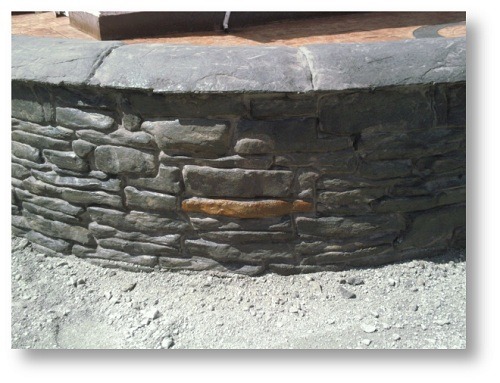 Here at Custom Crete, we pride ourselves on the appearance, strength and durability of our finished product.